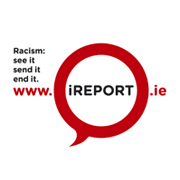 Here is your last minute summary before General Election tomorrow showing what political parties say on anti-racism and ethnic minorities’ issues, such as addressing racism, integration, equality, hate crime, refugees, asylum seekers, direct provision, the refugee crisis, Traveller & Roma, undocumented, migrant workers, voting and political rights of migrants. “A left government would introduce real progressive change in Ireland. this means ending all forms of discrimination against migrants, Travellers, LGBTQ people and women”. Work with our EU colleagues and international community to help bring an end the civil war that is destabilising Syria and generating the refugee crisis to an end. Support a significant expansion of aid to refugees in camps in the Middle East, including the release of further EU funding for this purpose. We will double Irish funding for this purpose to €1.2m. Stand with others in fighting against the extremists who are using this crisis to promote fear and distrust between groups. We will insist that Europe remain true to its democratic and inclusive values. Increase the adult allowance from €19.10 up to €38.74 as recommended by the Working Group over the lifetime of the Government. “Fine Gael will continue to pursue a balanced migration policy that supports our economy and meets our international and humanitarian obligations, whilst also taking a tough approach to tackling illegal migration. Immigration Bill: We will introduce a comprehensive Immigration and Residency Reform Bill, aimed at modernising Ireland’s visa and residency systems. Refugee Protection: We will continue to offer safe haven for refugees under EU and UN resettlement and relocation programmes, while promoting the integration of refugees in our communities. Direct Provision: We will reform the Direct Provision system, with particular focus on families and children. “We will end Direct Provision and replace it with a not-for-profit model that has integration and human rights best practice at its core. Refugee crisis: Europe is facing its biggest refugee crisis since World War Two and we will ensure that Ireland plays a leading role in tackling this humanitarian crisis. “Support the introduction of Humanitarian Visas which would permit the issuing of visas at embassies and consulates. Increase the number of people under resettlement and relocation as part of the Irish Refugee Protection Programme. Keep the number of relocated and resettled people under review with a view to increasing the number to a target of five thousand by 2017. Support the suspension of the Dublin III regulations with Italy, Hungary, Slovenia and Croatia to reduce the unfair burden on the Mediterranean states of the European Union. Continue and increase the involvement of the Irish naval and defence forces in search and rescue operations in the Mediterranean. Stop Returns and Return Orders for countries with ongoing armed conflicts, except in cases where the individual poses a security threat, and provide mechanisms which would regularise the stay of nationals from those countries. Dismantle the direct provision system and replace it with an efficient and humane system for determining the status of asylum seekers. Grant asylum seekers the right to work after 6 months. 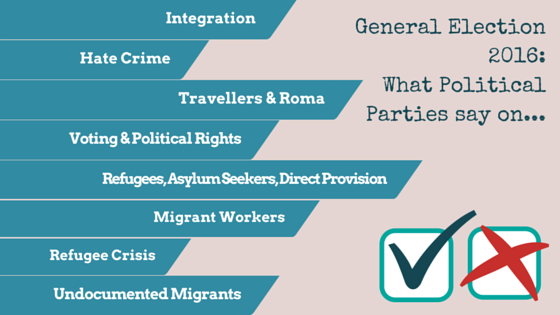 Create an independent appeals mechanism for asylum decisions and include the asylum and immigration systems within the remit of the Ombudsman and the Children’s Ombudsman. Ensure Ireland works closely with other EU member state to provide a fair and proportionate system of asylum provision for persons fleeing war torn states and continues to support rescue mission in the Mediterranean. “In a new term, we will develop a new Integrated Framework for Social Inclusion, built on our three pillars, which will tackle inequality and poverty. “The AAA opposes the horrendous discriminations faced by the Travelling community in Ireland and supports their right to be recognised as an ethnic group”.